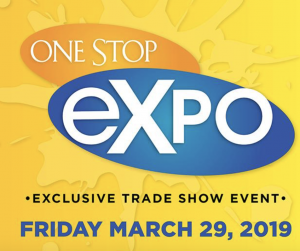 Join NNEP at the One Stop EXPO 2019! 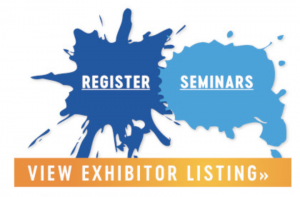 This is an amazing day of learning, networking and entertainment that will leave you energized and motivated to take your business to new heights! Don't forget the free samples, give-a-ways and prizes! This is a free event for One Stop customers. One Stop is a preferred vendor with NNEP, giving members case pricing on all orders! Presented By: Jennifer Cox, President & Co-Founder, NNEP at 8AM. Social media – it is the new reality. In this session, discover how you can turn 20 minutes a day into a steady stream of new customers potentially. We will cover how to use Facebook, Instagram and YouTube to attract attention so that you can bring new potential customers right to your door or website. After this session, you will be able to use social media for your business effectively because you will have a plan that works! Jennifer helped found the National Network of Embroidery Professionals, a professional organization where business owners come together to share best practices, ideas, sources, solutions, volume buying benefits and services. NNEP’s mission is to help business owners find customers, keep customers and make money. NNEP is 20 years strong, and supports nearly 1,000 independent embroiderers and apparel decorators as they grow their dream businesses. Presented By: Jennifer Cox, President & Co-Founder, NNEP at 1:45 PM. Creating great products – that is the easy part for most business owners in this industry. Finding new customers in your community, now that feels like hard work to so many of us! In this session, Jennifer will show you 10 ways to find new customers that A) you CAN do; B) you can afford; and C) actually work! Jennifer shares the best ideas from her 20+ years of helping business owners grow their businesses. Previous: Previous post: Know More = Sell More!